Hello everyone! Just to notify that I’m still alive, even though the updates have been rare lately, here’s a quick update on what’s happening at the moment. Since I’m working at the Gothenburg opera chorus and we’ve had the busiest time ever since the moment we started working after the summer break, there hasn’t been much time for any bigger solo projects worth mentioning here. Naturally I’m hoping for that to change some time soon! 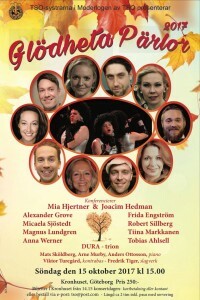 My next solo is on November the 24th at Gothenburg opera, as we do the same concert as in spring season with the ladies’ chorus, “Häxor, hjältinnor och listiga kvinnor”. Earlier we did a small tour in the region, this time it’s just one concert, finally at home in Gothenburg. My solo part in this is Nannettas aria from Falstaff and the quartet from the same opera. In the summer I did some recordings with the wonderful pianist Ulrich Staerk. One of the arias we recorded is Nannettas aria, and I’ll be uploading some new material soon. I wish everyone wonderful autumn days! 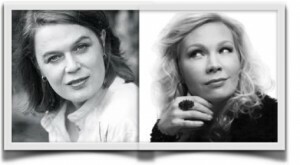 Pianist Lisa Fröberg and soprano Tiina Markkanen will be performing “Ariettes Oubliées” by Claude Debussy and “Leino songs” by Kaija Saariaho. 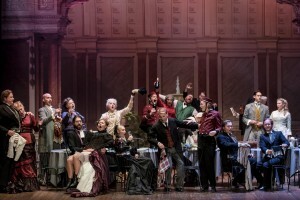 The concert takes place in the foyer of Gothenburg opera on Saturday January 20th at 12.30. The musical unit of the University of Lund is celebrating it’s 10th anniversary with a concert in Lund on November the 25th at 16.00. 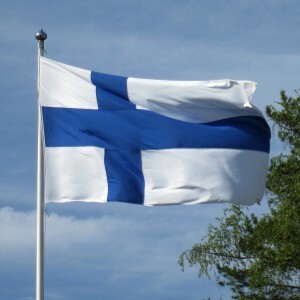 My beloved home country is celebrating 100 years as independent this year, and to honor this me and my fellow musicians are performing some wonderful Finnish music in Trelleborg Sankt Nicolas church this coming Sunday.